Head over to QUEEN MOB'S TEA HOUSE to read my short story "Bounce House"
"A warehouse is a blank space, nothing, a tabula rasa. And here upon this foundation that once held storage, or a small engine mechanic, or hosted punk shows, some entrepreneurs filled the corrugated siding with themed inflatable architecture. Architecture inside of architecture. 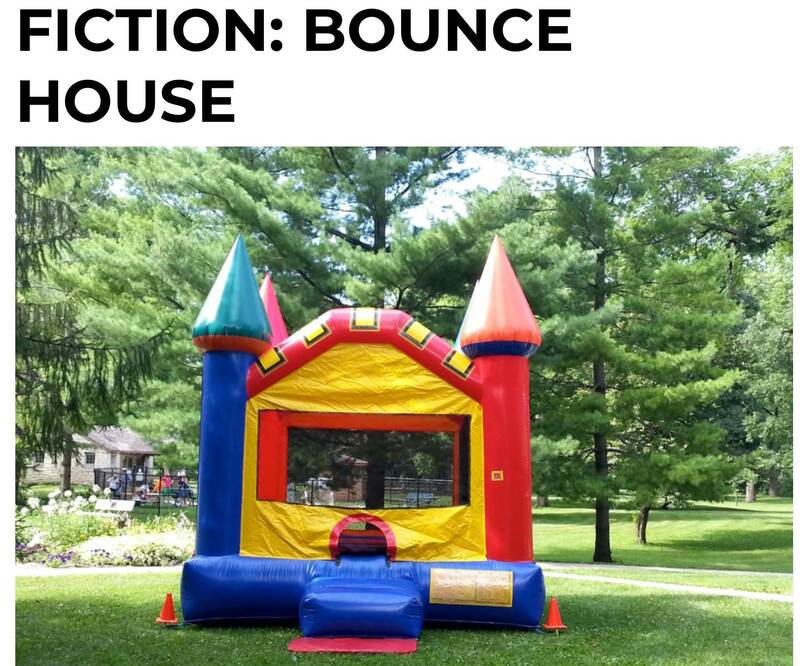 Outside, back exit, I stand and stare into the dense woods behind the bounce house. I pull a drag from the American Spirit and ash into the grass. The ember gets snuffed out with a hiss."